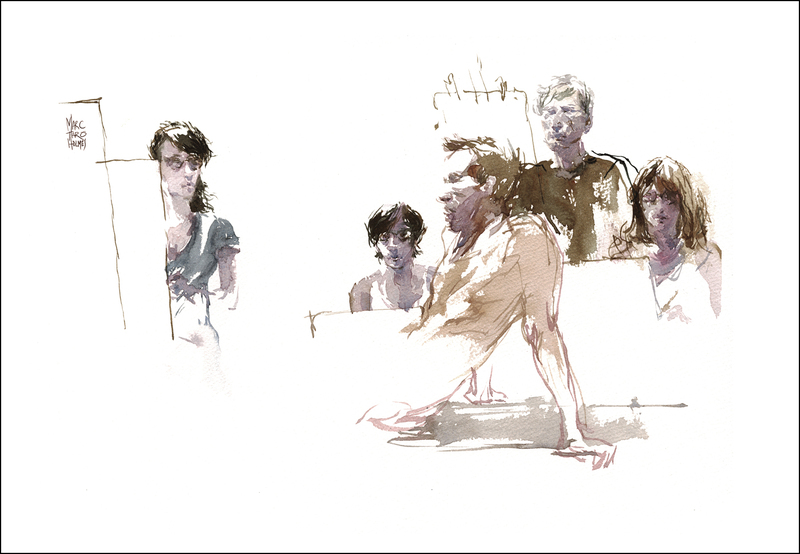 I used to do a lot of life drawing classes. I have heaps of that sort of stuff over here on my Flickr. That’s how I learned to draw after art school. Nobody did drawings on location at my college, and strangely not much still-life either. It was either drawing the figure, or drawing from imagination. So for years after art school I just kept at it. Sometimes going three nights a week during my peak years. 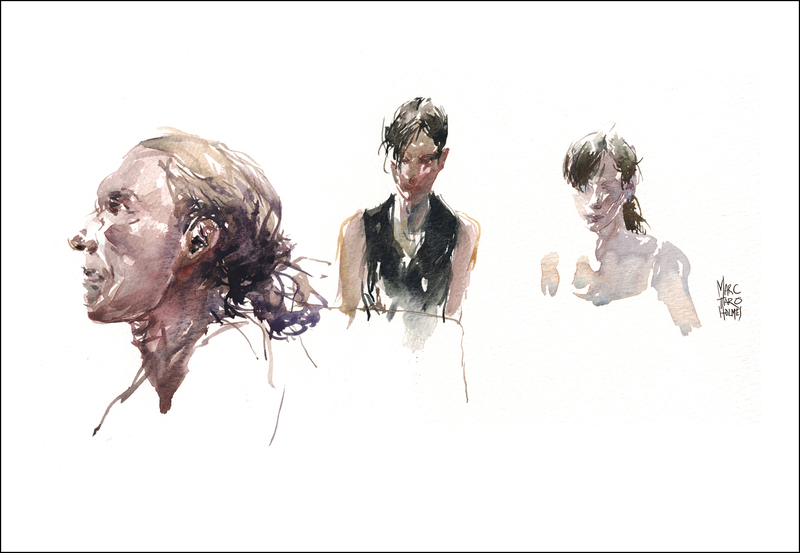 Right after my recent direct-to-watercolor marathon I signed up for a week long figure drawing workshop at UQAM. If you live anywhere near Montreal, they do this class twice a year. A solid week, 9-5 in the studio, with a wide variety of models. I don’t know of a better workshop deal anywhere. This is my second time doing it. I hope to find the time again next year. This year something weird happened. Suddenly I found myself with extra time. Usually I’m working right to the last micro second of a pose. 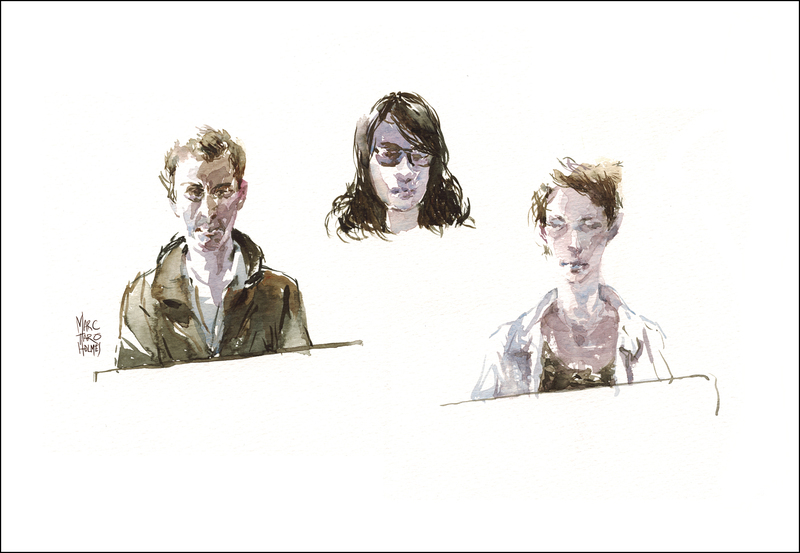 But this year, with all the recent plein air painting practice I found enough time in between long poses to do these sneaky portraits in the margins. This has me looking forward to Juliana Russo’s Portrait Exchange in Paraty.